You know me, a sucker for anything remotely girly, floral or even slightly novelty. 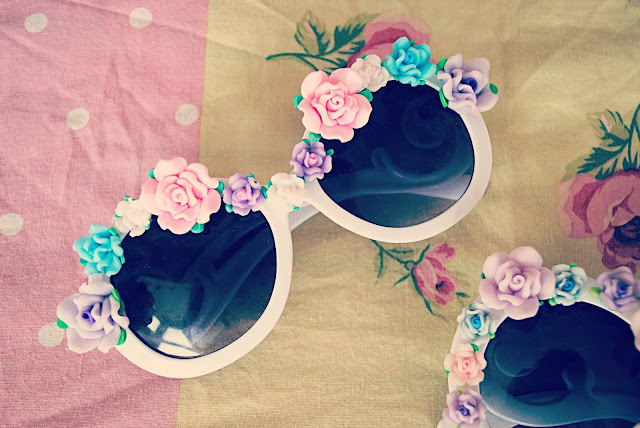 I mean, life is too short to buy serious sunglasses, right?! 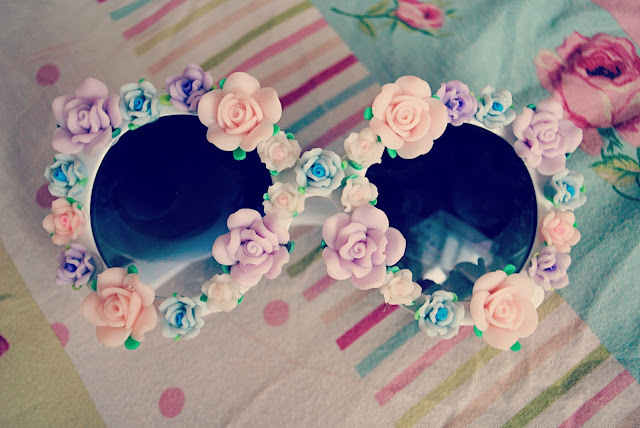 Recently I've become a little obsessed with all the amazing flower-adorned sunnies that are on the market. After seeing some pretty peepers on Tumblr or somewhere, I quickly scouted out possibly places to get my hands on some, and luckily Missguided and Choies came to the rescue. I got the pair on the left with the floral detailing over the top from Missguided, and I really love them. 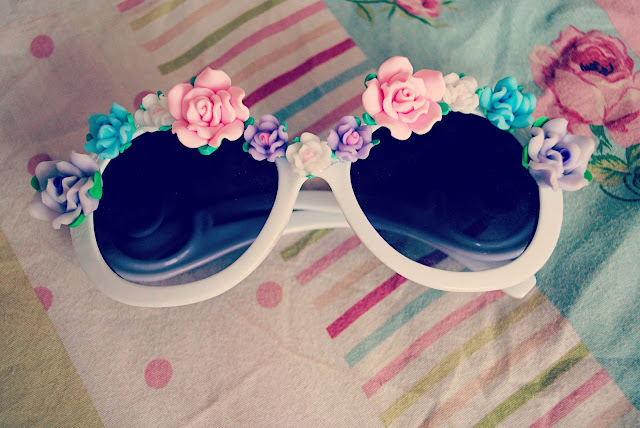 They are seriously cute and girly and go with so many of my Spring/Summer outfits. The pair on the right were a slightly pricier version from Choies, but just LOOK AT THEM. They're AMAZING. 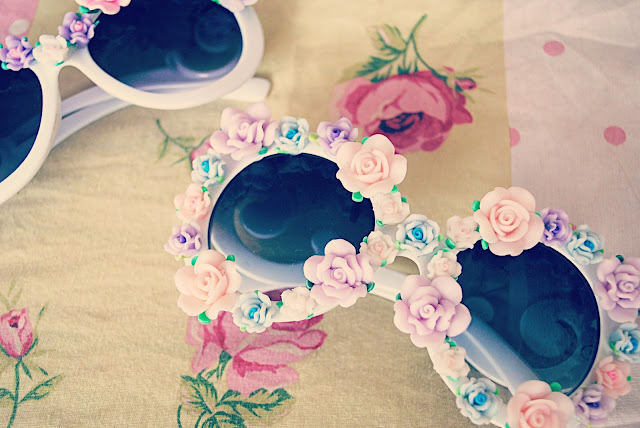 After searching high and low I am so glad I came across these beautiful sunnies because they are seriously stunning. Okay, so the flower detailing around the edge can get annoying, and I'd be lying if I said that none of the flowers have fallen off (a few fell off the Choies pair, but I think they'd come all the way from China or somewhere so I can kind of forgive them) but you can't deny that these beauties are pretty unique and will certainly turn heads over the summer. I am absolutely in love with them and have a feeling I will be wearing them constantly over the next few months. That's if the sun decides to come back, of course. 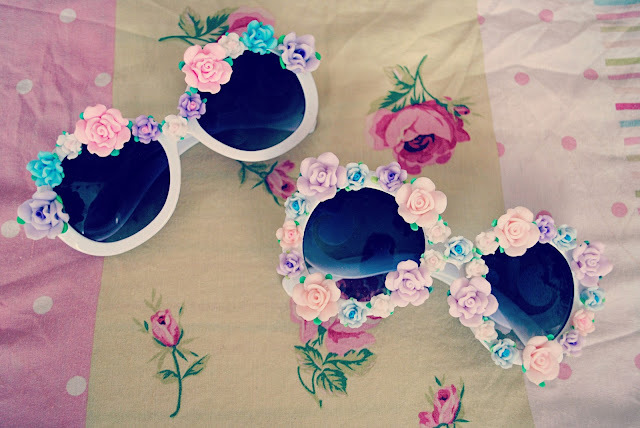 Are you loving floral sunnies? I've spotted some similar pairs in Primark if you are looking for cheaper alternatives!